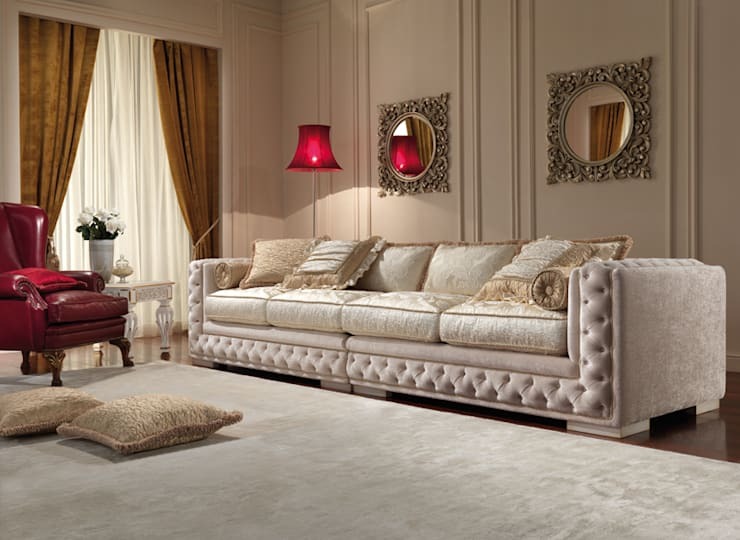 Next to bed, sofa is the most permanent and prominent piece of furniture in every home. Interestingly, the modern version of sofa or couch that we get to use now is quite a late invention. London’s Victoria and Albert Museum has a great collection of early sofas from 17th, 18th and 19th centuries. One of these, the earliest surviving sofas of all, belongs to 1690. Also known as a settee, it boasts of very intricately designed upholstery and an elegant shape, but skimpy cushioning. Over a period of time, repeated experimentations produced more comfortable and elaborate designs. A large part of this is courtesy the French craftsmen who were almost in competition with each other to produce beautiful and unique canapés fit for kings. Quite a few of these graced the royal courts of Europe including that of the Versailles. Rococo era produced some of the most lavish examples of furniture, including couches. However, in some other parts of the world like in the Middle East, couches were already a well known piece of furniture. Terms like sofa, divan, cushion etc owe their origins to this part of the world. At the turn of last century, changing socio-economic conditions and birth of constructivism gave rise to new trends in the interior décor and design world. Some of the sofa designs that we now see are heavily influenced by the aesthetics of the time. 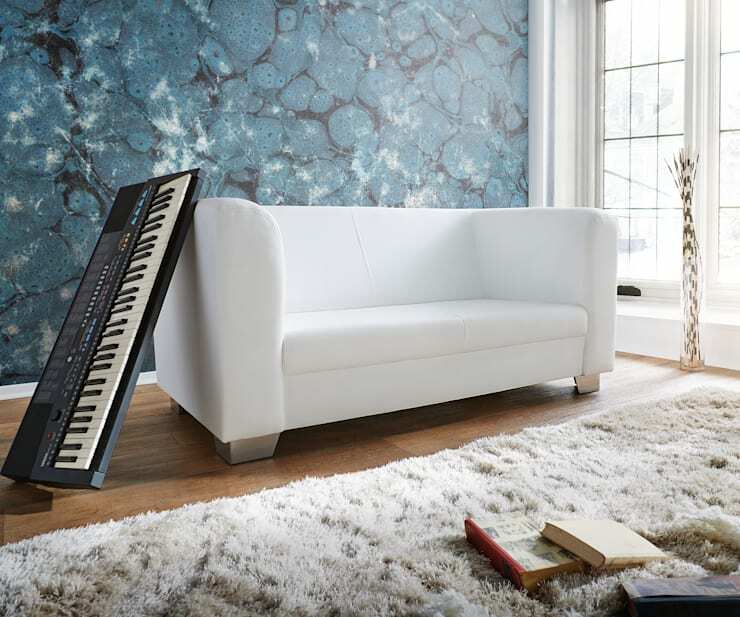 Every year refreshingly new ideas also give sofas a new lease of life. Today, we are presenting some of the latest trends in the world of sofa beds. 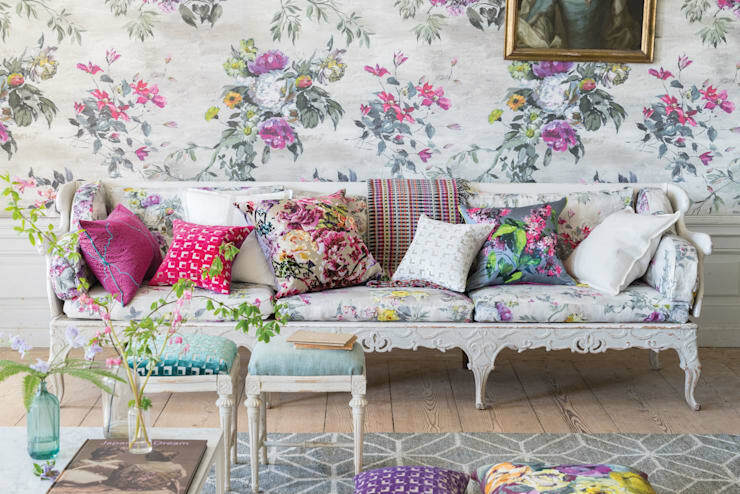 After years of neglect, sofas with floral upholstery are back in the centre stage. I am sure at the very mention of it some of you are shifting uneasily on your soon to be old couches. It is an incorrect notion that floral sofa beds exude an overly soft and nostalgic charm. On the contrary, it gives a pleasant spring like feel in the interior of your home. If your living room consists mostly of monochromatic elements, a sofa upholstered in floral damask fabric will brighten it up in minutes. Depending upon your tastes, you can consider bringing in a sofa with subtler flowery pattern or one that bedazzles with its bold colour palette. The sofa itself must have a curvaceous look to complement colourful and flowery aura. Vintage never really goes out of style, but this 2016 it seems to be creating more compelling impressions than at any point of time in the recent past. Depending upon the existing décor of your living room and budget, you can choose a traditional full leather Chesterfield, velvet rococo canapé or opulent neoclassical couches. Do not forget to complement your sofa bed with equally elegant cushions, side table and a chic coffee table. Jacquard fabric is a perennial choice for sofas of these types. Use high quality dark wood for the frame and equally premium quality wood for creating the other furniture of your living room. This will be a worthwhile investment for you in the years to come. Delve into the blues, this time by choice. Cool blue sofas are no longer considered a depressing choice. From cerulean to midnight blue, the choices are many and you can opt for one that feels closest to your heart. Pantone announced Serenity to be one of its colours of 2016 so buying a blue sofa will give your living room an even trendier facelift. You can go for a bit of window shopping to choose between fabrics of varying textures. While blue linen feels ultra comfy it may not be a wise choice if you have pets at home. Also, pep up your blue sofa with cushions in more vibrant shades and patterns. Of sofas I mean! Sofas with beautiful legs were once highly coveted piece of functional sculpture in aristocratic homes. Plush sofas with elaborate legs were a norm rather than exception in art nouveau period. Some of the best designs executed by Émile Gallé, Hector Guimard, Carlo Bugatti and Louis Majorelle can still be seen preserved in museums around the world. The same fact, however, also indicates their falling out of favour with time. Influences of constructivism, suprematism and then Bauhaus took design altogether to a different direction that resonated more with the prevailing conditions of life. But after decades of neglect, sofas with beautiful legs, if not curvaceous pnes, are back again in the spotlight. All black or all white contemporary sofas are in vogue for some time, primarily because it fits so perfectly in the modern home with a minimalist décor. The continued popularity with midcentury modern design is another contributing factor in its popularity. 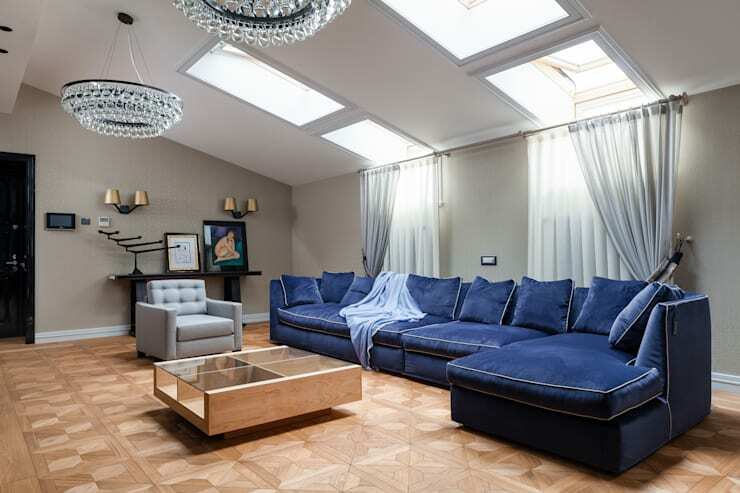 Whether you wish to have a full leather or fabric covered pitch black or milky white sofa in your home depends largely on your personal choices and the existing design of your living room. But choose one that has clean lines and smooth finish like this one presented by Delife. All white sectional sofa would also look gorgeous in a modern house or apartment. Arrange chic pendant lighting, glass top centre table and a few bright decorative items in geometric shapes to make your living room ready for the new year. Middle and Far East are using sofas for ages. 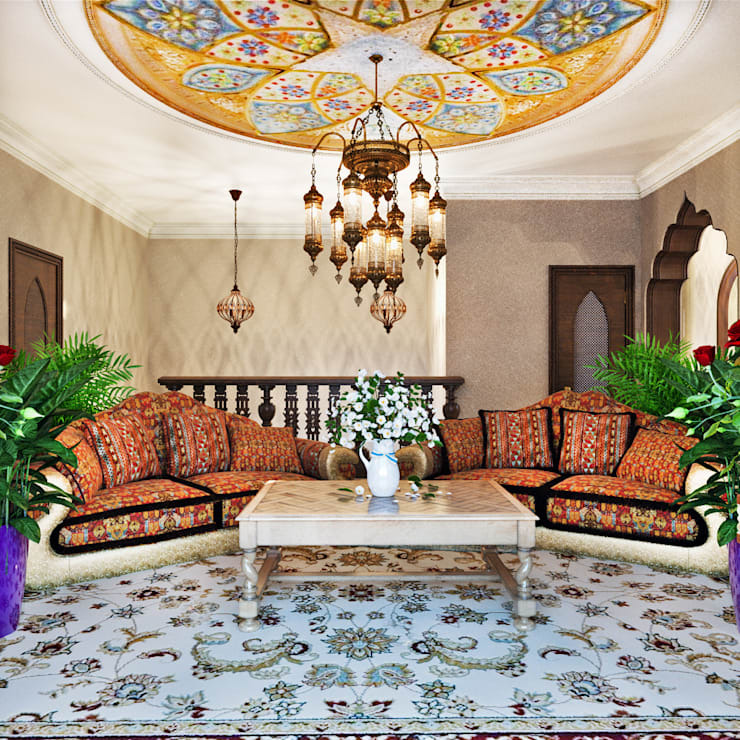 Intricately designed hall furniture, including couches, are still considered prized possessions of many homes. Like vintage, these furniture never go out of favour, but their value increases over a period of time. A variety of wood like red sandalwood, walnut, rosewood and mahogany are used to create these highly detailed pieces. These are then upholstered in fine silk or cotton with equally elaborate embroideries. Traditional workmanship even prevents using of nails in these types of sofas and chairs. Highly ingenuous methods are employed to give its shape a permanence and durability. Change of tastes also inspired modern artisans to create fusion pieces that skilfully blend some of the Western design ideals into these age old pieces of furniture. With a set of these furniture in place, your living room will never look dull in taste and style. 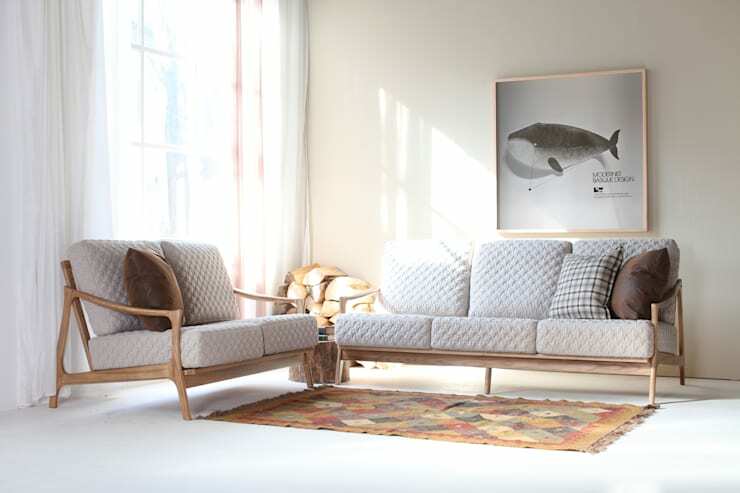 Lightweight sofas are a rage for some time now and they will remain in vogue for the new year. Ever shrinking space in urban homes and apartments is an impetus for everyone to opt for lightweight furniture. They tend to create a breezier and clutter free space. Also, people are more mobile than ever before. It helps to have sofas of this kind which can easily be packed off and shipped to a different destination. Lightweight sofas need not be light in styling. Though there cannot be any replacement for exquisitely handcrafted furniture, use of engineered wood made stylish lightweight sofas easily available and affordable.